April 12, 2017	12:04 PM CDT By W. T. Whitney Jr. The U.S. government has long applied contradictory regulations to Cubans wanting to enter the United States. But since President Obama announced on December 17, 2014 that achieving normal U.S.-Cuban relations was his administration’s goal, the mismatch between uneven application of visa rules and stated policy has become all the more apparent. His government in 2016 denied entry visas to 81.9 percent of Cubans wanting to visit the United States for tourism or business purposes. This was the highest rate of rejection among all the world’s nations. Next in line was Afghanistan with a 73.8 percent rate, followed by Mauritania at 71.5 percent and Liberia at 70.2. Within the new contexts of renewed diplomatic relations, U.S. visitors flooding the island, and executive orders modifying the economic blockade, Cubans might have expected to be able to visit with family members in the United States, see the sights there, present a paper at a symposium, or do some shopping. Visits did increase markedly after January 2013 when Cuban authorities eased exit regulations. 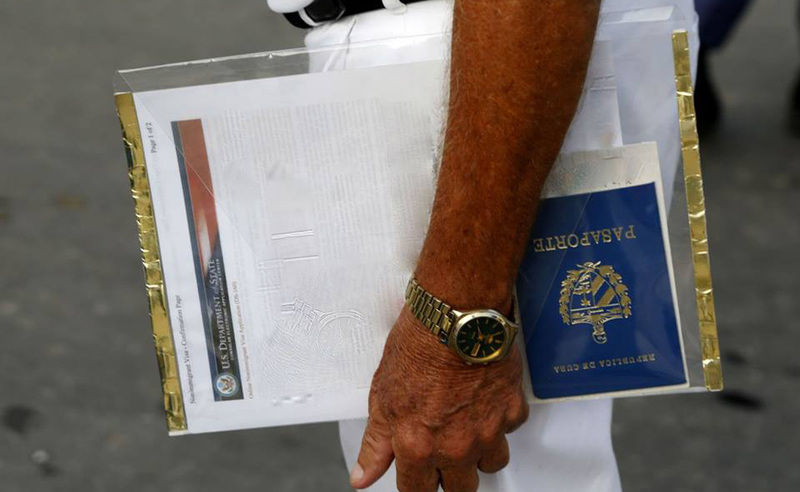 In 2014 and 2015, 41,001 and 22,797 Cubans, respectively, obtained entry visas for short visits. In 2016, however, the State Department granted only 12,218 such visas. The categories included 2,424 visas for business or professional reasons, 7,583 for tourism or family visiting, and 2,211 visas for combined purposes. The massive denial in 2016 of entry visas for Cuban applicants contradicted expectations of welcome normally associated with improving relations. The U.S. government’s “wet foot, dry foot” policy based on the Cuban Adjustment Act of 1966 was also anomalous. That policy enabled all Cubans arriving in the United States without a visa to remain permanently, and receive U.S. social services. No other migrants in the world enjoyed such privilege. Additionally, of course, irregular Cuban immigrants were being welcomed while most Cubans who actually applied for non-immigrant visas in 2016 were being turned down. Nevertheless, on January 12, 2017 the Obama administration did end the blanket acceptance of Cuban migrants without papers. That same day it also discontinued the Cuban Medical Parole Program, created by the George W. Bush administration in 2006. Under that policy, Cuban doctors working in foreign countries gained authorization for a permanent move to the United States. The doctors applied at a U.S. embassy and were on their way. The two policies presumably served the same purpose: to show off life in Cuba as oppressive enough to force people to leave. The medical parole program had the additional goal of helping to bring down Cuba’s exemplary project of medical outreach to the world. Ostensibly, both actions by the Obama administration ended special deals for would-be Cuban migrants. But finishing off the medical parole program had loose ends. News reports indicated that 1,200 Cuban doctors who applied before 5 PM on January 12 could still count on living in the United States. A group of them arrived in February. Cuban-American representatives from Florida are agitating for the medical parole program to be resumed. The fact of discordant results is not new. The two nations agreed in 1994 that the United States would accept 20,000 legal immigrants who would be randomly selected by lotteries in Cuba. 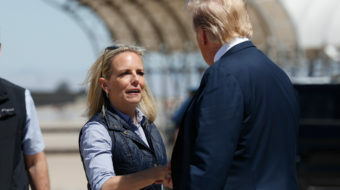 That plan was part of an overall agreement aimed at solving the so-called rafters’ crisis of that era, when thousands of Cubans were heading to Florida by the only means possible. They were responding to economic distress after the fall of the Soviet Bloc. Lotteries did take place in Cuba, but in practice the U.S. government issued far fewer entry visas than the agreed-upon number. In a communication March 29 to the “Cuba News” list serve, Karen Lee Wald, who has lived in both countries, commented on her experience then in directing a study program in Cuba for U.S. and Canadian university students. 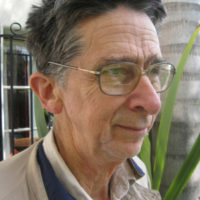 Wald thus demonstrated that U.S. officials at that time were offering a clear, reasoned – if callous – explanation for how the U.S. government dealt with Cuban migration. However, what’s behind U.S. migratory policies may be unclear now. As a result, they are inconsistent, even contradictory. That may be a perverse product of eased U.S.-Cuba relations. Formerly, officials dealing with a nation assumed to be an enemy operated with clear strategic goals. Now an altered approach may have led to mixed ideas of what to do and, therefore, conflicting policies. Beyond that, it’s quite likely that the U.S. government – especially in the hands of President Trump – still harbors officials, elected and otherwise, who regard Cuba as a special case, a nuisance. And it shows.